NEW YORK • After more than a decade in public life, can Mrs Michelle Obama freely shed the sheath dress and pearls for a wide brim black hat and braids? She just did - being photographed alongside other members of Beyonce's inner circle. The image is part of a birthday tribute to the singer - a series of portraits of black women, some famous, others not, dressed in one of her iconic looks from the Formation (2016) video. The portraits alone were striking, but Mrs Obama's participation was jaw-dropping. Eight months after leaving the White House, she has quietly returned to private life. She has visited high schools to emphasise her initiative to encourage higher education. She has given a few paid speeches, but those are closed to the public. 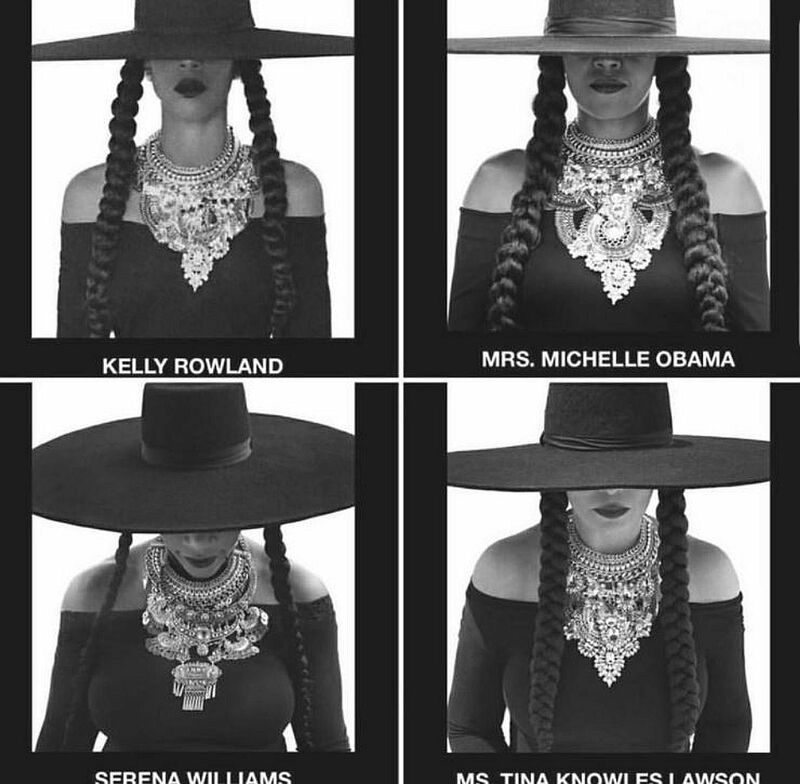 Both the former first lady and Queen Bey do not put images out without carefully considering their meaning. So what is Mrs Obama saying with this one? First, that she loves Beyonce. Their track record of public support dates back to the first presidential inauguration, when the singer serenaded the Obamas in 2009 with Etta James' At Last. Second, that she loves Formation, one of Beyonce's most overtly political tracks. The video features stark images of the aftermath of Hurricane Katrina in New Orleans, along with graffiti supporting the movement for Black Lives Matter. Finally, Mrs Obama is signalling that she embraces the song as an anthem for black womanhood - and is, clearly, not afraid to cause her own conversation.